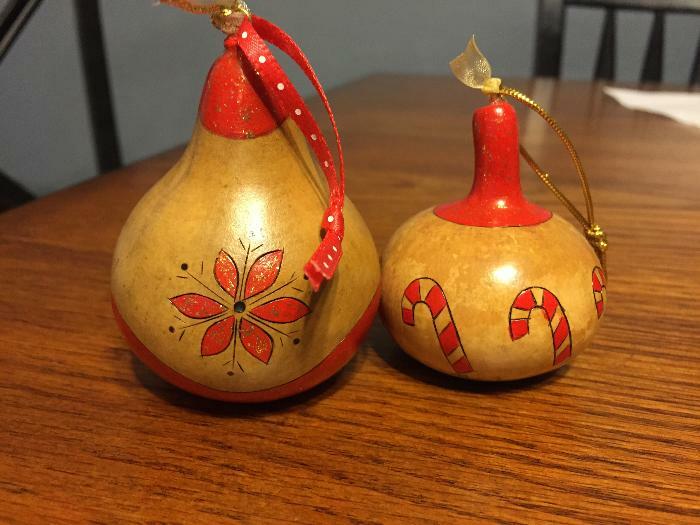 This auction is for a beautiful set of 3 hand painted Christmas gourds. As you can see these were done with care and are absolutely beautiful. Please let me know if you have any questions. Happy Bidding!